Canada, the Czech Republic, Korea, and Sweden all cut their corporate tax rates in 2009, distancing the United States even further from the pack with its combined federal and state rate of 39.1 percent—second only to Japan for the highest corporate tax rate among nations in the Organization for Economic Cooperation and Development (OECD). 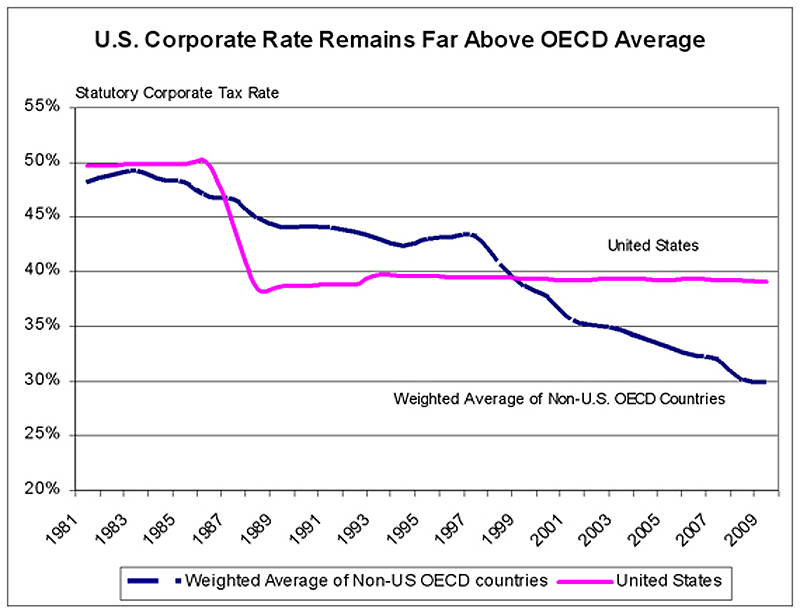 A Tax Foundation analysis of new OECD data finds that 2009 marks the 12th consecutive year in which the U.S. corporate tax rate is higher than the average rate among non-U.S. OECD nations—and roughly 50 percent higher than that of a mid-ranked country such as Sweden. Read ” U.S. Lags While Competitors Accelerate Corporate Income Tax Reform.” Read more on corporate taxes or learn about the CompeteUSA campaign.